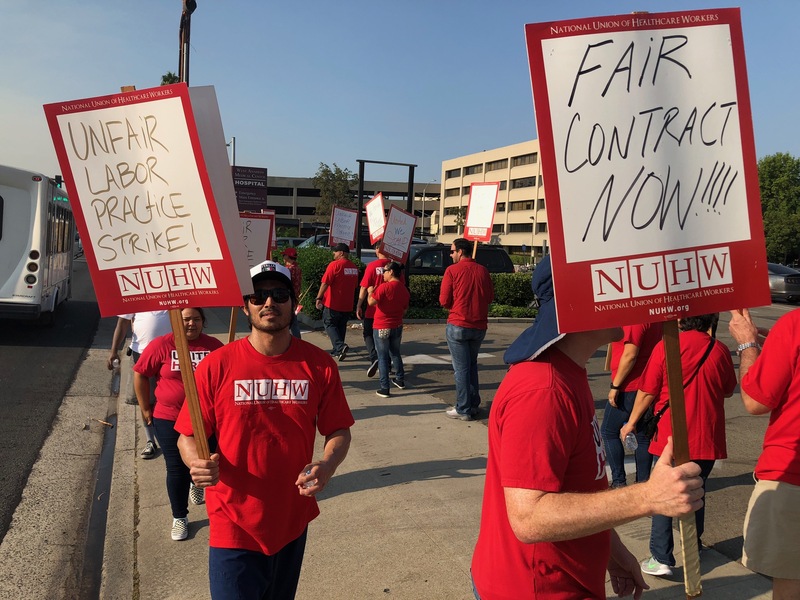 Fed up with low wages, more than 100 nurses and medical technicians at West Anaheim Medical Center staged a one-day strike Aug. 9 to demand equal pay with colleagues at other hospitals owned by Prime Healthcare. 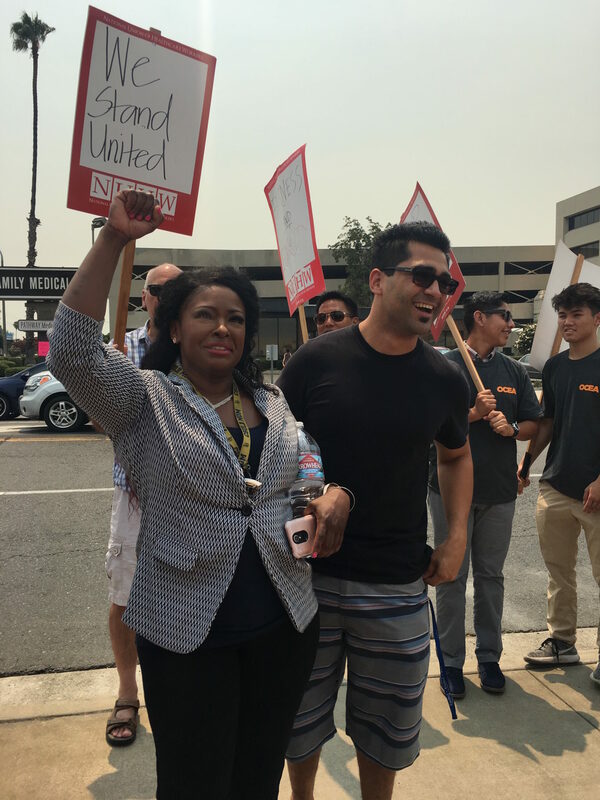 West Anaheim caregivers joined NUHW last year to fight for better salaries. The pay gap is so severe that management’s offer to boost some salaries by as much as 16 percent over three years would still leave starting nurses making nearly $4 an hour less than their counterparts at Prime Healthcare’s nearby Garden Grove Medical Center. Respiratory therapists would start out making $8 less under management’s offer. 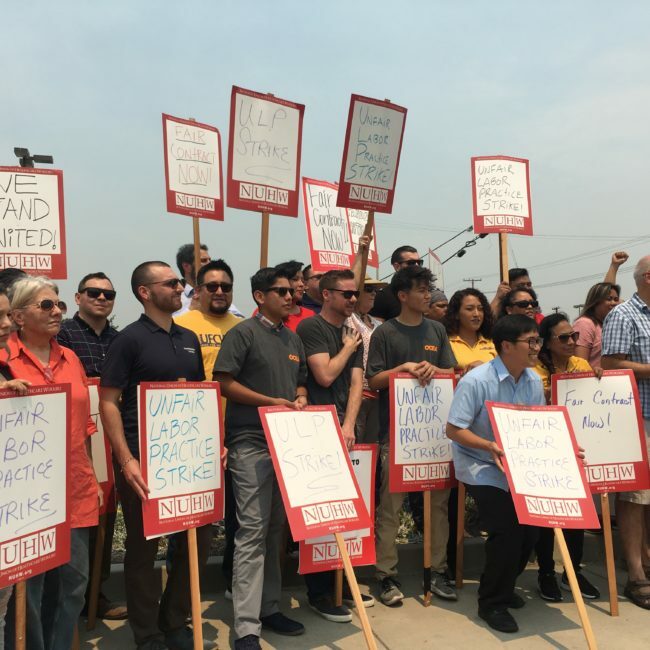 “All we want is for Prime Healthcare to treat us fairly and invest the same resources into West Anaheim as its other hospitals,” said Rom Borromeo a Respiratory Therapist at West Anaheim Medical Center. 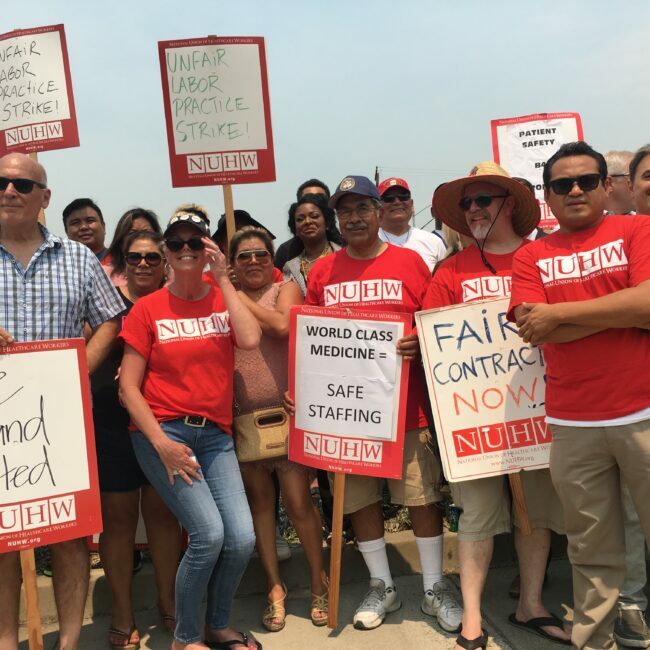 A dozen NUHW members from Kindred Westminster joined the strike in solidarity as did members from UniteHere and the United Farm Workers. Several elected officials and political candidates addressed workers, including Gil Cisneros, whose running for a Southern California congressional seat. Also attending the rally were Anaheim City Council candidates Grant Henninger and Jordan Brandman and Ashleigh Aiken, who’s running for mayor of Anaheim. Last year, West Anaheim, which has 219 beds, posted a $28 million operating profit. Its 20.35 percent profit margin was nearly twice the 2016 average for comparable investor-owned hospitals. While Prime Healthcare has kept wages low at West Anaheim, federal prosecutors accused the company of illegally boosting profits for nearly a decade by intentionally admitting Medicare patients whose symptoms could have been treated outside the hospital. Last Friday, The U.S. Department of Justice announced that Prime Healthcare would pay a $65 million penalty to settle the allegations at 14 of its hospitals including West Anaheim.